Food security and nutrition concerns are putting an ancient, climate-smart grain back on our plates. Farm to fork, there’s been a revival of interest in millet. Who would have believed that a rice-obsessed state like Tamil Nadu will so easily embrace another grain – that too, the lowly millet. If you need proof, just zip across to a tiny lane opposite the Adyar bus depot in Chennai. It houses Prems Graama Bhojanam, a small, unprepossessing restaurant that is rustic in its simplicity and has a limited menu. Yet it is creating quite a buzz in the city, thanks to its “millets only” positioning. The staple rice dishes in a south Indian thaali – lemon rice, sambhar rice, rasam rice, curd rice – are all there in the restaurant’s platter but made with millet. Almost every kind of millet is represented, including the kodo millet, barnyard millet, little millet and foxtail millet, which adds an edge to the sweet pongal with jaggery. Idlis, dosas and chapattis at the outlet are all made from millet flour. This restaurant, inaugurated in September 2014, is a labour of love for N.S. Krishnamoorthi, a former executive at HUL and Ruchi Soya. It took him months of research studying traditional recipes to get the menu, taste and consistency right. For instance, millet idlis have a tendency to be hard – he managed to make them as soft as rice idlis after three months of intense trials. Krishnamoorthi’s timing could not have been more right. Millet mania is sweeping across Chennai. Prone to diabetes, skewed lipid profile and various lifestyle diseases, residents of the city are switching over to a high-fibre nutritious diet. There is the ubiquitous oats but it is not indigenous. The search for a local grain that would fit well into our daily recipes has led people right back to millet – a small seeded grass grown as cereal – which used to be a staple in Indian kitchens half a century ago. You could say that millet is fast emerging as the new oats. In India popular millets are ragi (finger millet), jowar (sorghum) and bajra (pearl millet). There are also a whole group of minor millets like foxtail millet and proso millet. Walk into any grocery store in Chennai and shelves would be lined with ready- to-eat mixes of bajra idli, ragi dosa and millet pancakes. Organic showrooms selling millet flour have opened up in several neighbourhoods in the city. In Besant Nagar, yet another millet-based restaurant, Food Karma, has been launched. Finally, the perception problem among the middle class that millet suffered from – as a heavy food suitable only for people who do hard physical labour – appears to have been overcome. Even among the lower-income groups, who had drifted away from the grain, consumption is picking up. Chennai has traditionally had push carts serving affordable koozh – a ragi-based porridge with a buttermilk base. Between 2009 and 2014 there has been an explosion in the number of these push carts, reports the MS Swaminathan Research Foundation which conducted a field survey. Chennai isn’t alone. Hop across to Karnataka and the state seems to be in the throes of a major ragi (a millet variant) revolution. Of course, Karnataka has always had a ragi eating habit among the traditional set. A prime example is former prime minister H.D. Deve Gowda, who at 81 attributes the secret of his good health to a diet of ragi mudde (a soft brown roundball made out of millet powder). 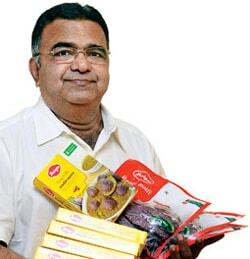 Sadananda Maiya, who built MTR Foods into a giant brand before selling it and now runs Maiyas Foods, says that with Indians becoming health-conscious, many have started emulating Gowda’s diet. Quick to spot the opportunity, Maiyas now sells a ready-to-eat version of mudde saru, and even exports the product to the US, Australia, Singapore and Malaysia. It also offers other ragi-based products and now intends to launch millet-based Ambli (a breakfast drink) and Huri Hittu (fried millet powder). MTR Foods has also been agile in tapping the ragi opportunity. “We saw millet making a comeback in 2012 when we launched our range of multigrain breakfast mixes that are a blend of power grains like oats, ragi, and jowar,” says Vikram Sabherwal, Vice President – Marketing at MTR. But it’s a small innovative new company set up in 2011, Kottaram Agro, that has really taken the millet story forward by giving the grain a modern makeover. Under the brand Soulfull, it sells a power breakfast of ragi flakes that come in three variants – chocolate, vanilla and strawberry. The last bastion of resistance – urbanites used to a toast and cereal breakfast – have a millet option now. Visit the company’s factory and Prashant Parameswaran, the young and energetic founder and Managing Director, makes you taste a range of new millet-based products that are being developed. These include a snacky millet broth preparation in tangy flavours that intends to be an alternative to the two-minute instant noodles market. Millet’s comeback story is not restricted to the south. In Udaipur, Rajasthan, four entrepreneurs have set up Millets of Mewar, a restaurant that is seeking to revive the ancient millet-based dishes of the region. Savvy multinationals, too, are boarding the millet bandwagon. PepsiCo’s Quaker Oats is now available in a new multigrain variant, Quaker Oats Plus, that contains ragi and barley, besides oats. “The introduction of Quaker Oats Plus is a reiteration of our commitment to enhance the portfolio relevance for Quaker in India through locally relevant offerings,” says Vidur Vyas, Senior Director, GNG Marketing and Beverage Innovation, PepsiCo India. 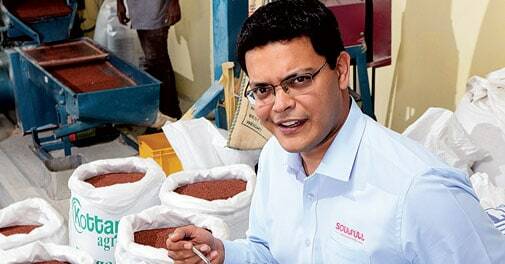 Soulfull’s Parameswaran is pushing his brand – launched in Bangalore – nationally as well, taking it to Chennai, Hyderabad, Mumbai, Pune, Delhi and Kolkata. “New product launches containing millet accounted for slightly under two per cent of food launches between 2010 and 2014. In absolute terms, the number of such launches increased by six times during that period. Millet has, in fact, nearly caught up with oats in terms of their growing presence across food categories,” says Ranjana Sundaresan, food and drink analyst with Mintel, a market research firm. Mintel’s finding is that bakery products (this includes flour, bread, biscuits and baked items) accounted for 60 per cent of all millet-based launches, while snacks accounted for 15 per cent and breakfast cereals 13 per cent. After years of being ignored and labelled as food fit only for animals, millet is back. Right now, what we are seeing is a resurgence from all sides – consumption, manufacturing side and production. 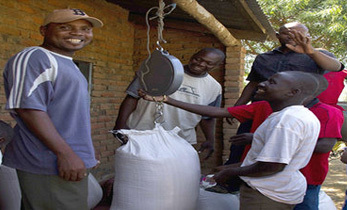 A major impetus has been the National Food Security Act of 2013, which has added millet to the basket of foods that will be distributed through the public distribution system. Another big push factor is the high Minimum Support Price (MSP) fixed for millet by the Commission for Agricultural Costs and Prices – Rs 1,550 per quintal for ragi, Rs 1,530 for jowar and Rs 1250 for bajra. It’s only Rs 1,360 for paddy and Rs 1450 for wheat. It is a big inducement for farmers to grow millet. “Today a new era has begun for millet,” says noted agriculture scientist and father of India’s green revolution, Professor M.S. Swaminathan. Back in 1956, millet accounted for 40 per cent of all cereal cultivated area. 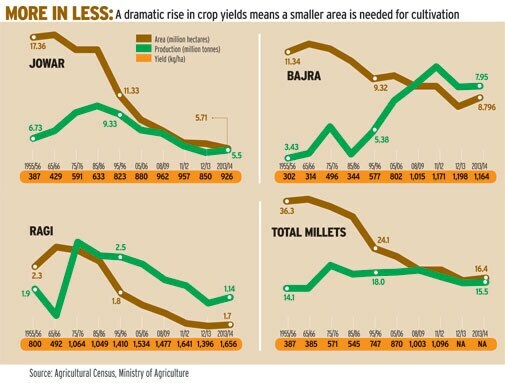 Over the last 50 years, the area under the crop has shrunk by over 44 per cent. Millet accounts for only 11 per cent of India’s gross cropped area. Even now, while the decline has been arrested, the process of reclaiming fields is slow. 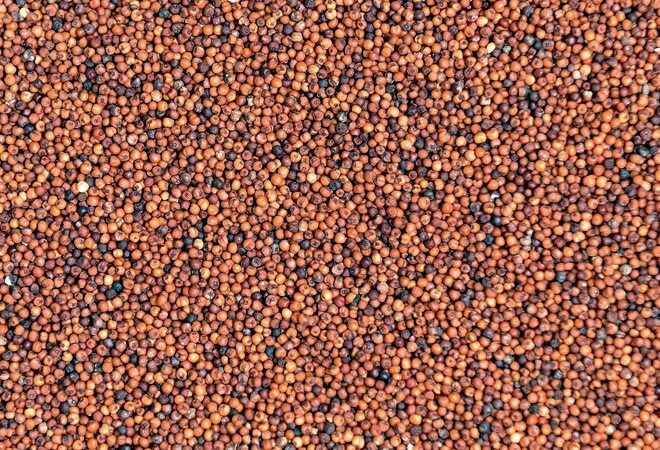 According to Swaminathan, there are three important reasons for the revival of interest in millet. The most important being climate change. Millet is a hardy, climate-smart grain that can grow in drought-like conditions unlike rice and wheat. The realisation has come not just in India, but globally too. “Vanishing crops have to be saved. Climate-smart cereals like millets have to be grown,” he says. Also, millet can provide nutrition security as it is rich in calcium, minerals, iron, fibre, beta carotene. It is far superior to rice and wheat in terms of nutrition value. Finally, new technology has enabled easy processing of these coarse cereals, allowing food companies to offer this hard to digest grain in ways that would appeal to the urban consumer’s fussy tastes. As MTR’s Sabherwal says the consumer insight when they launched millet products was that people wanted to consume these grains but did not know in what format. What we are seeing today is no overnight trend. For over two decades, a diverse set of people and organisations have been working in their own silos advocating the cause of millets each with different goals – ranging from a nutritional focus to agricultural development. For instance, Professor Swaminathan started work on millets in 1992. 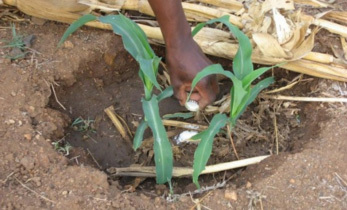 The initial idea was to preserve millet germplasm as part of a biodiversity conservation project. “At one time, there were 40 to 50 types of millets grown in India. Gradually their number shrunk to four or five,” he says. It prompted his institute to work on millet, starting off with a project in Kolli hills of Tamil Nadu. Gradually, the scope of the project expanded. “Now our millets project addresses the 4 Cs of agriculture – conservation, cultivation, consumption, and commerce,” he says. 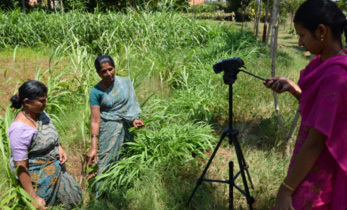 When the project initially started it was not an easy journey as the tribals in Kolli Hills, who traditionally grew millet, saw better opportunity in tapioca or pineapple as there was a local starch factory they could cater to. Nobody wanted to grow millet. In Telangana, the founder of Millet Network of India (MINI), P.V. 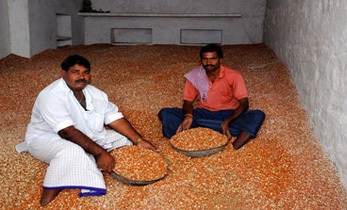 Satheesh, faced a similar struggle as he set about creating awareness for the grain. Satheesh set up the Deccan Development Society at Pasthapur in Medak district to address Dalit women’s issues. He got interested in millet when he saw that these grains were inextricably linked to their general welfare. “These crops taught us that the nutrition of poor tribal communities depends on millets. 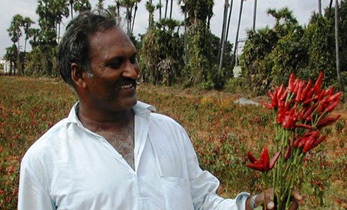 They inherit bad agriculture lands and their sustenance depends on continuation of these hardy crops,” says Satheesh. In contrast, rice and wheat are water guzzling and also need chemicals, pesticides, and fertile soil, all of which are a premium. 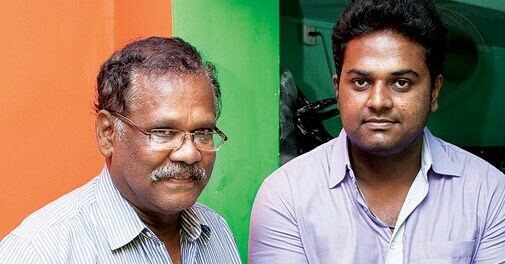 “This was our initial reason for setting up MINI,” says Satheesh. MINI today has grown into a pan-India alliance of over 65 institutions that are relentlessly pushing millet. Satheesh says more than 50,000 farmers are part of the alliance. “It is now no longer confined to the south but has spread across the country to Uttarakhand, Nagaland, Odisha,” he says. Similarly, a host of other organisations are supporting millet revival projects across India. But there are challenges galore. Despite awareness campaigns, farmers still get swayed by the market,says Swaminathan. 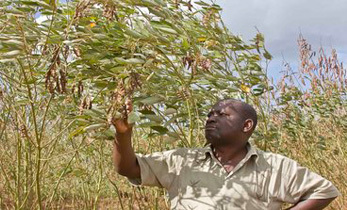 Typically, in drought-like conditions, farmers used to switch to millet, but now they are tempted to opt for BT Cotton and soybean. The other problem is that while the government may have laid down an MSP, the reality is that only two grains – rice and wheat – are picked up. “There are 22 items in the MSP list, but only a few are picked up,” says Swaminathan. Hopefully, as more companies start adding millet to their product mix, things will look up for millet farmers. But there are challenges, too, for FMCG manufacturers. Processing is one. Maiya describes how his company had to import special equipment from Taiwan. “We need to improve millet processing methods at farm levels to get better quality,” he says. Meanwhile, Professor Swaminathan says he has written to the Food and Agriculture Organisation (FAO) of the United Nations to have a year of millet. Remember, the FAO declared 2013 the year of Quinoa, another ancient grain. Subsequently, it became a rage the world over and its price soared. Last year saw the Quinoa fad sweeping through India, too. While Quinoa undoubtedly is a superfood, as Swaminathan points out, we have our own local heroes in millet. It’s time the hero takes centre stage.